Between 3 September and 30 October 2015, NZP&M consulted with 177 iwi and hapū groups, and 42 local authorities on proposed release areas for the tender. Following consultation, the Minister of Energy and Resources added a requirement to the tender. 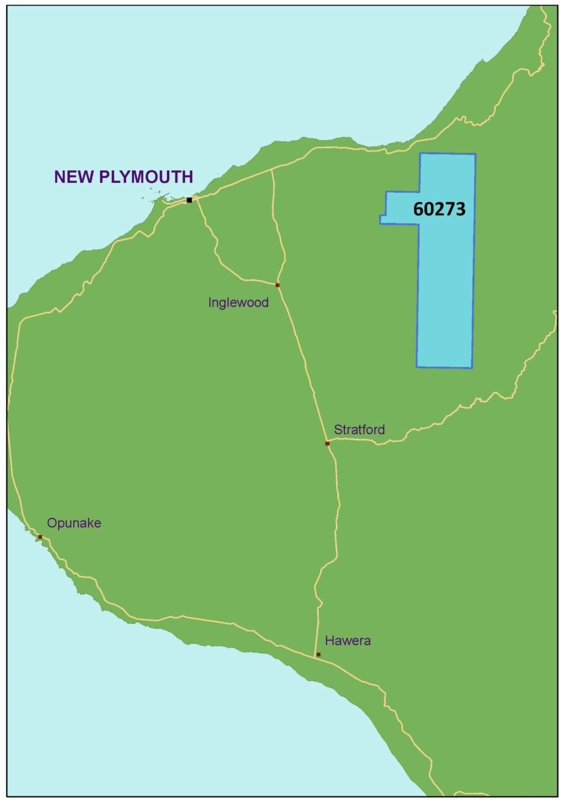 Permits granted for Block Offer 2016 in onshore Taranaki undertaking petroleum exploration activities within 200m of the Tangahoe, Patea and Whenuakura rivers will be required to give Te Rūnanga o Ngāti Ruanui 20 days’ written notice before the activity commences. Todd Exploration has been granted one ten-year onshore permit in the Taranaki Basin. PEP 60273 has an area of 219 km2. Todd Exploration Management Services Limited is owned by Todd Corporation, the largest privately-owned energy company in New Zealand. Todd has oil and gas exploration and production interests, and retails natural gas and LPG. Other Todd entities have been granted permits in the Taranaki Basin in previous Block Offer rounds. Todd’s portfolio includes interests in the Pohokura, Maui, Maari, Mangahewa and Kapuni fields in the Taranaki Basin.